I just discovered this amazing device and immediately bought two of them. Why did I not know this device existed until now? 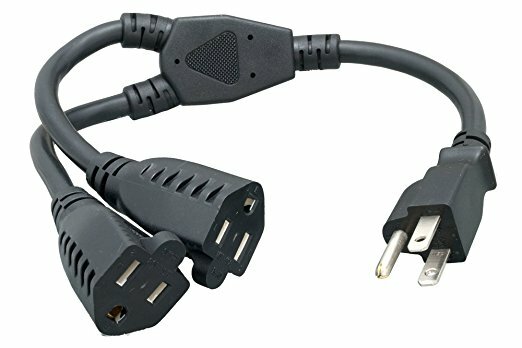 It completely eliminates fiddling with power bricks that block other sockets. I recently finished a temp job, during the final week the managers arranged an Employee Appreciation Lunch of expensive pizza and cupcakes. I grumbled that if the company really wanted to express its appreciation, they could skip the free lunch and pay me higher wages so I could buy my own lunch. I am sure my ingracious comments were not appreciated by management. The artisanal cupcakes were beautiful. I mentioned how much I like vanilla, and a coworker said, “We have Double Vanilla!” But it was too rich for lunch, so I kept it at my desk and saved it for later. 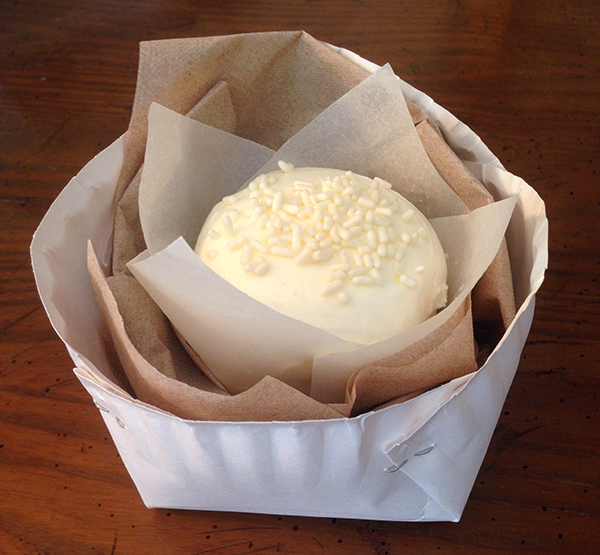 The way the cupcake paper was folded reminded me of the way we used to wrap potted plants in decorative foil, at our family greenhouse business. I can’t even guess how many hundreds, maybe thousands of chrysanthemums and poinsettias I have wrapped this way. We would fold and staple cardboard boxes and pad them with newspapers so the customers could transport them easily. So I grabbed a stapler and a leftover paper plate from the pizza, and made it into a box in just a few seconds. 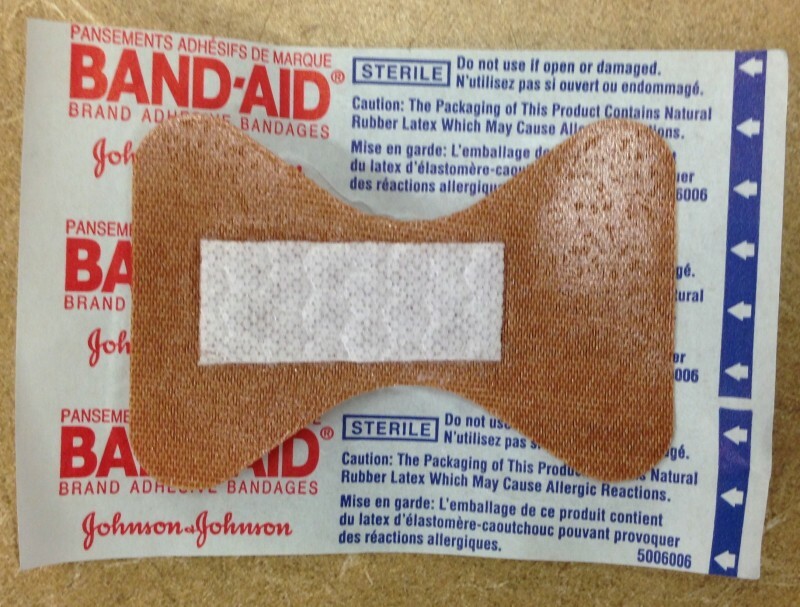 I bought a package of Band-Aid Flexible Fabric Knuckle and Fingertip bandages for $4.99. I took them back for a refund. A few years ago, I bought a used car. The dealer assured me it had just been fully serviced, but I noticed a warning flag on the dashboard, it said “Maintenance Required.” Every car requires regular maintenance, but I figured this was a warning about something specific. It seemed to drive OK, it didn’t seem to have anything wrong. After a few thousand miles, I took it in for an oil change, but the light stayed on. Eventually I had to do some major repairs. The clutch cylinder had to be replaced. The light stayed on. I had to replace the timing chain and the steering rack, that was a really expensive repair. But still the light stayed on. After replacing the steering rack, I had to take the car to another shop to have the wheels aligned. There really was nothing left on the car that hadn’t been serviced, but that damn Maintenance Required flag was still on. I mentioned this to the mechanic, he seemed puzzled and said, “lemme see that.” So he got in the car and looked, then he took the key and poked it into a little slot under the flag, and it reset. The flag was gone. I asked him what happened. He said the flag is hooked to the odometer, it goes off every 5000 miles to tell you to change the oil. But the car doesn’t know when you changed the oil, the mechanic has to reset the flag manually. 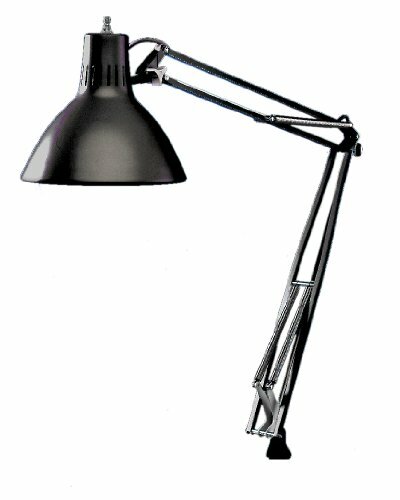 When I first entered Art School, one of my first purchases was a Luxo Lamp. It’s a classic design that has endured the test of time. It was cheap, I think I only paid about $20. I clamped it to the edge of my drafting table, and I kept it attached to my various desks over the next thirty years. A few years ago, it fell apart and I threw it out. Recently I decided to buy a new Luxo Lamp. I thought it would be cheap, I looked online and now they’re over $165! My local art supplies store has a generic model listed online for about $18. What a deal. I went to the store, cash in hand, but they were sold out. I could order it online, but I hate to buy a cheap knock-off without seeing it first. It might be too cheap. I checked at various outlets around town, I thought it would be easy to find a cheap swing arm lamp. But no. The best I could find was a cheap knock-off of the Luxo Jr. at Target, for about $40. It was only about 18 inches tall, that defeats the whole purpose of the Luxo. The classic Luxo LS-1 has a 45 inch reach, you can put it up high and illuminate your whole desk, or pull it down close for more brightness. I used a 100w full-spectrum incandescent bulb which has a good color balance, so I could work at night and still be able to judge colors accurately. Unfortunately, this is probably the worst time in recent history to buy a desk lamp. New Federal energy standards were imposed on incandescent bulbs to make them more efficient. Of course some people think it’s a conspiracy and are even hoarding light bulbs. That’s ridiculous, new energy-efficient incandescent bulbs are already on the market, they are better than ever. There are plenty of alternative bulbs that are even more efficient, CFL bulbs have been around for a while, but people don’t like them because they have a colder light. I don’t like them because they have Mercury in them and you have to recycle them. Stores that sell CFLs are required to take them back and recycle them, but I’m sure they just throw them in the trash. Now LED lighting is getting cheaper, but it’s still really expensive. So I thought maybe instead of the lamp, I’d try to get brighter bulbs for my wall-mounted lamps. They have tiny Type B sockets so the biggest bulb I can use is 60w. I have been looking everywhere for some simple 60w-equivalent LED bulbs that would fit. The standard bulbs put out 650 lumens, but I can’t find any LED bulbs that would output anything close to that. My office is already too dim, I want more light, efficiency be damned. It might be better to replace the whole wall fixture to use the regular Type A bulbs. Now I am back where I started, no new lamp, and a dimly lit office. I suppose I will have to do some serious research and buy a proper LED desk lamp. That’s going to be expensive, I haven’t seen a decent model for under $100. The only thing that bothers me about LED lamps is that they don’t burn out, they just get dimmer. It will take a long time, maybe 10 years before they become noticeably dimmer. It will happen so gradually, nobody will notice. The manufacturers don’t know exactly how dim they will get. I kept my old Luxo for thirty years. I could keep a new LED lamp for another thirty, and eventually I will be back where I started, in a dimly lit office. 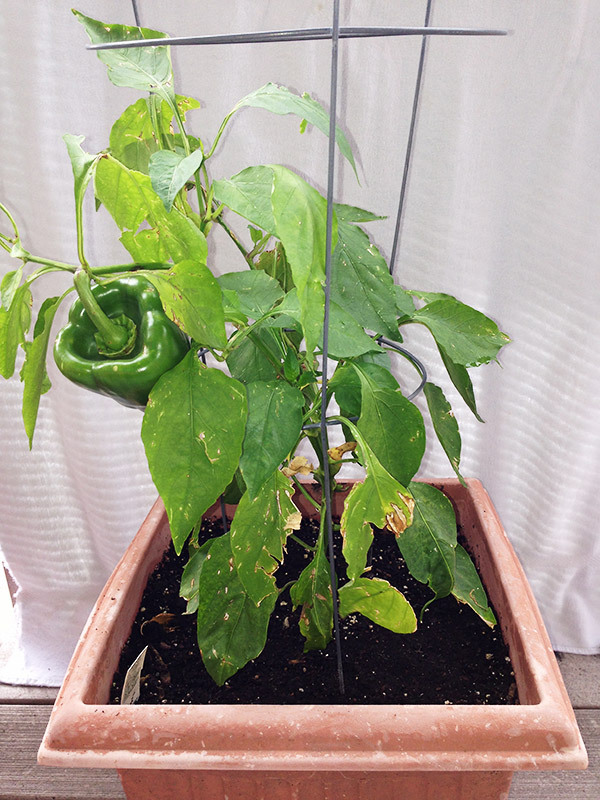 Although my 2014 crop of green peppers has been disappointing, it was still a productive year. Some years, each plant will only produce one or two large peppers. The plants flower early in the season, setting some early fruits. But none of the subsequent flowers set. I think they dropped off in the heat. Also there was a bad storm and the plants were torn up badly. Yesterday, I went to the grocery store and found huge green peppers for 30 cents. I could buy four huge green peppers at the store for about the same as the $1.19 I paid for my four pepper seedlings. My employer hired a new Janitor to clean up after us. 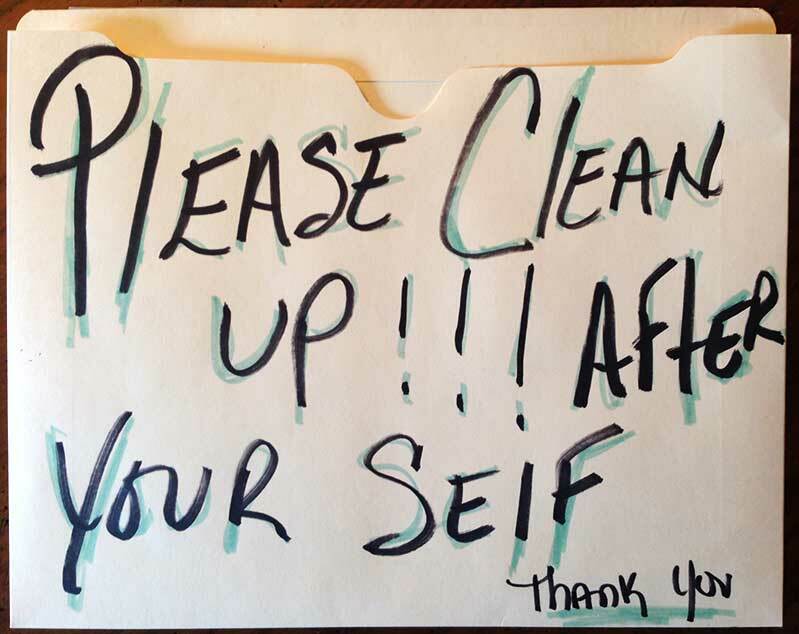 He posted this sign a few days later in our break room. He is no longer employed at this company. I am not certain why. WIth some shrewd use of discounts, I just filled my gas tank for 33 cents per gallon. I haven’t seen gas that cheap since I took Driver’s Education in high school. I told the gas station clerk this was probably his highest discount all day. He said it was second highest, and showed me a copy of a receipt for 1 cent gas (the maximum discount) filling a 20 gallon tank. Fill er up for 20 cents! I would wear one by my side. This is my pathetic garden for summer 2012. It’s so pathetic, I’m not even going to bother taking a decent photo. This is all I have to show for nearly 6 months of work. I planted my green pepper seedlings early in April due to record warm temperatures. Normally it isn’t safe from a frost until early May but the last freeze was March 12. My garden was planted nearly a month ahead of schedule. I expected it to be as tall as the plants in the photo by the start of May. By now, these plants should be 5 feet tall and covered with bell peppers the size of my fist. I never got one single pepper out of these plants. All I managed to grow was a big crop of aphids. I never used any pesticides before, but this year I sprayed over and over and the aphids were unfazed. They ate all the blooms as soon as they appeared. I upgraded to a stronger pesticide but that had no effect. One of the plants even died. A replacement plant cost more than the 4 seedlings combined. I spent more money trying to get this garden to grow than I did in the last 4 years. This is embarrassing. I’ve never had a crop failure in my life. All summer long, my neighbors saw my garden up on my deck and asked me why my plants weren’t growing this year. Throughout the state of Iowa, farmers are reporting crop failures due to the record breaking heat. Food prices are rising, just as my summer vegetable supply disappeared.